The fastest tractor in the world, created by Matt LeBlanc (actor, ‘Friends') and the Top Gear team and driven to a record breaking 87.2mph by the Stig, has roared into World of Top Gear at Beaulieu. 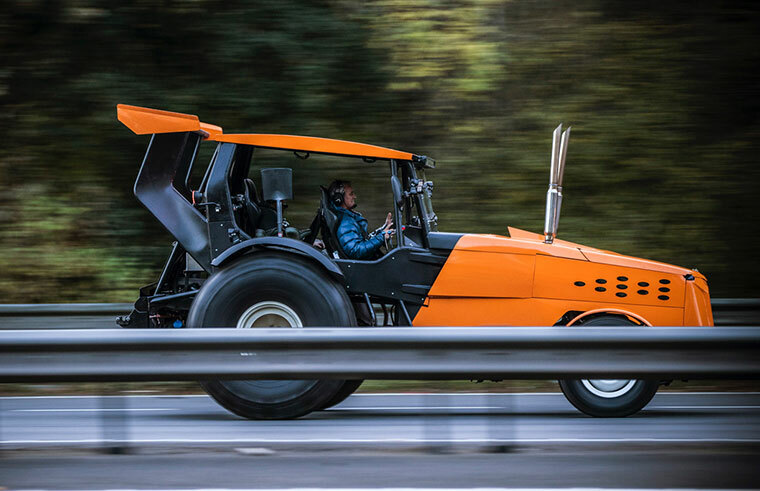 Named the Track-Tor for its road-burning performance, the world’s fastest tractor made its debut on Sunday’s episode of Top Gear, proving that tractors really don’t have to be slow, and it is now on show at Beaulieu. In the programme, Top Gear set a new Guinness World Record to become the fastest tractor in the world, beating the previous record of 80.87mph set in Finland in 2015. Now Beaulieu visitors can see up-close just what happens when the motoring show aims to revolutionise the world of agricultural machinery. 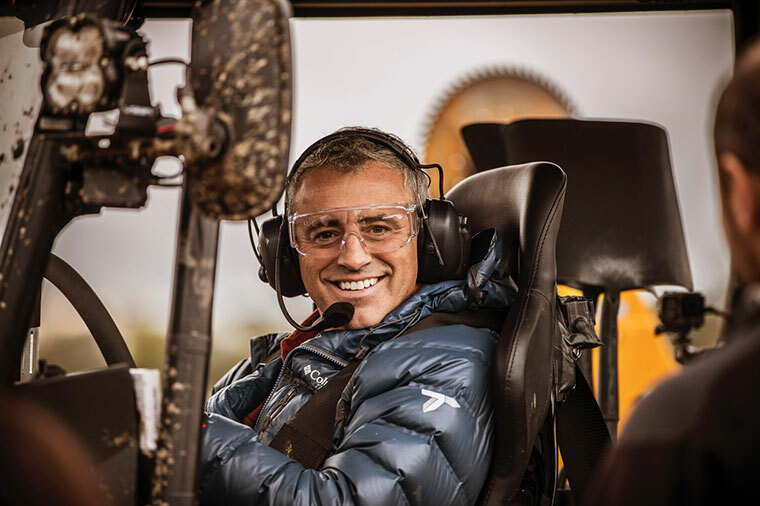 Matt LeBlanc is a huge tractor fan and owns four of his own tractors. Turning his attention to the problem of these slow-moving vehicles holding up traffic, he decided that speed and power were essential and his custom engineering solution is impressive. A 5.7-litre small block Chevy V8 engine, producing a colossal 500bhp, ensures that the Track-Tor can be driven fast both in the fields and on the road. Huge 54-inch Super Swamper Bogger tyres from America are fitted to the rear wheels, while adjustable air suspension means that the whole machine can be raised to increase ground clearance. While a normal tractor only has brakes on the rear wheels, the Track-Tor has them on all four, while a split hydraulic handbrake allows each rear wheel to be braked independently, which is ideal for off-road tomfoolery. LED lights from an Ariel Atom and bright orange Lamborghini-inspired paintwork are complemented by Matt’s wacky extras, including a rotating boot-cleaning brush, barometer and rack to accommodate wellies and spades. The Top Gear team put the Track-Tor through a series of demanding challenges and were impressed by its turn of speed and off-road capability. Unfortunately, when the Stig got hold of it, the Track-Tor was used to disrupt the filming of an episode of Countryfile, soaking presenter Ellie Harrison and drowning out presenter John Craven’s piece-to-camera in the process. The Track-Tor is on display in the new-look World of Top Gear alongside favourite vehicles from the world’s biggest motoring show, including the impressive Ssangyacht, the longest limousine selfie opportunity ever and the high-mileage taxis. Beaulieu’s Enormodrome also recreates the feel of the Top Gear studio with the Celebrity Lap Times board and behind-the-scenes footage and clips from some of the best Top Gear moments. The World of Top Gear is included in a general admission ticket to Beaulieu which also offers entrance to the National Motor Museum, the 13th century Beaulieu Abbey, the ancestral Montagu home of Palace House and its stunning grounds and gardens.